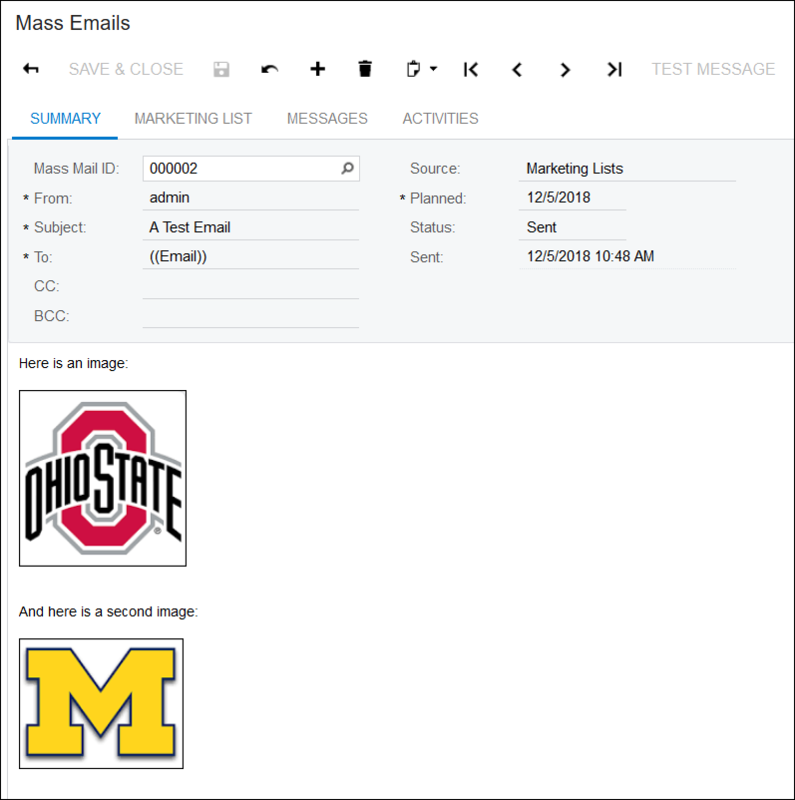 We are trying to utilize the Mass Email feature in Acumatica to send out email that includes images in the body of the email. However, it keeps turning them into attachments and removing them from the body of the email. How do we get this to work properly? Are you using MS Outlook? If yes which version? If not what are you using and What is the image file type being used? I did a quick test by just inserting a PNG file, nothing more (no fancy HTML coding) and it worked fine but I use GMAIL not MS.
Are you using the Mass Emails (CR308000) screen and inserting images inline like in the screenshot below? But when the email lands in your inbox, the images are attached and do not appear inline in the email? We just tried to save the template without sending. The mass email screen itself had the same issue. The only way we were able to get it to work was to put links to image files on our website. Weird. It works for me, even with the email generated within Acumatica by clicking the TEST MESSAGE button.